If you are an art lover then Amsterdam is the right place for you as there are many local as well as international artists that dwell in the great city. 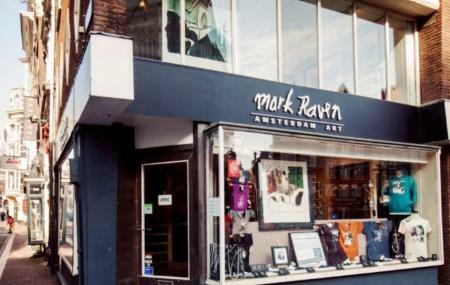 When we do talk about art, Mark Raven Amsterdam Art is one destination that you should not miss out on. Visit the destination and get to see scintillating and soulful arts that are sure to win your heart. From charming paintings to great architecture and ambience, the place is a must go for any art lover. Love this shop and always recommend it to people visiting the city who want a unique gift to take home. The shirts and artwork is wonderful and the personnel always helpful and friendly. FR : Boutique sympa, super cadeau souvenir sur la thématique d'Amsterdam. Un signé d'un artist est plus impressionnant qu'un mug made in china, pas vrai? EN :very nice souvenir shop i like the idea of offering something arty based on Amsterdam thematic. more impressive to offer an mug signed by the artist than made in china, isn't it? Very friendly staff! Absolutely loved talking with the girl! Also the shirts there were better quality and not too bad of a price. Mark raven makes art on normal things like cuos and t-shirts. If you want a piece of Amsterdam art to wear then drop by. Pick up stuff on sale. The t-shirts are a little expensive otherwise.